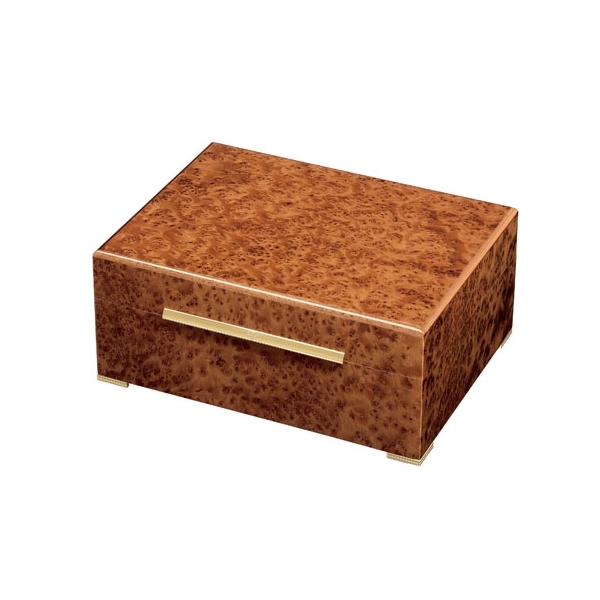 The Davidoff humidor Century was produced in honor of the centenary of the birth of Zino Davidoff. The Davidoff humidor Century was produced in honor of the centenary of the birth of Zino Davidoff. The trim around the lid and humidor base, designed especially for Davidoff, are either gold or palladium plated, depending on the model. 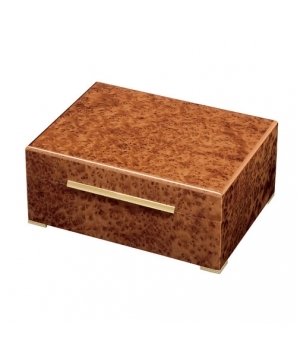 The six compartments can be varied in size, as required to accommodate your individual assortment of cigars. The basket is furnished with elegant, precious metal grips that make it easy to remove, while the magnet fitting inside the lid makes a perfect place to keep your cigar scissors.